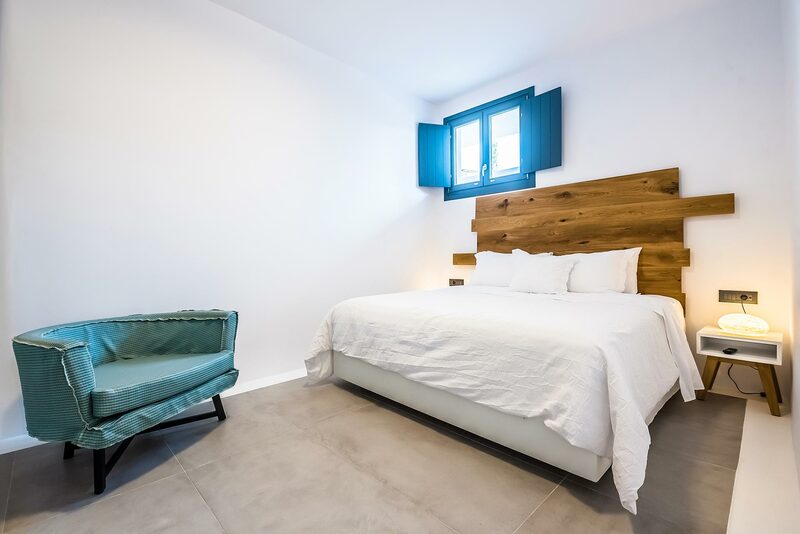 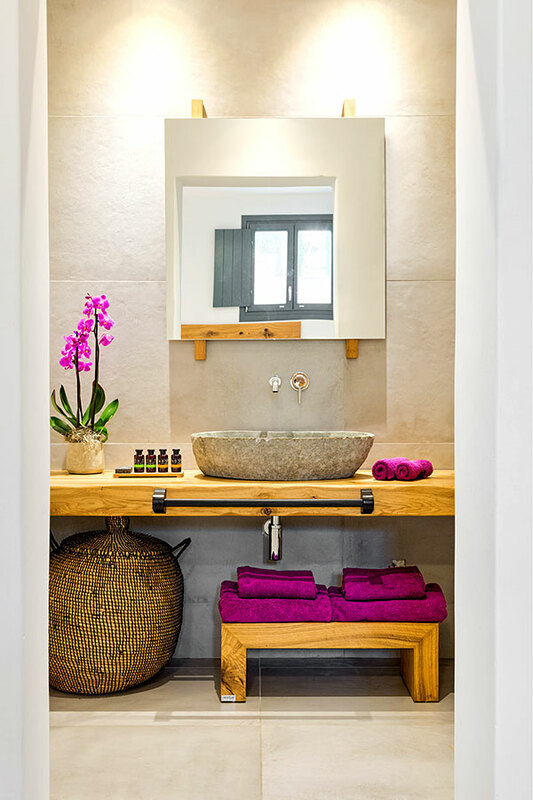 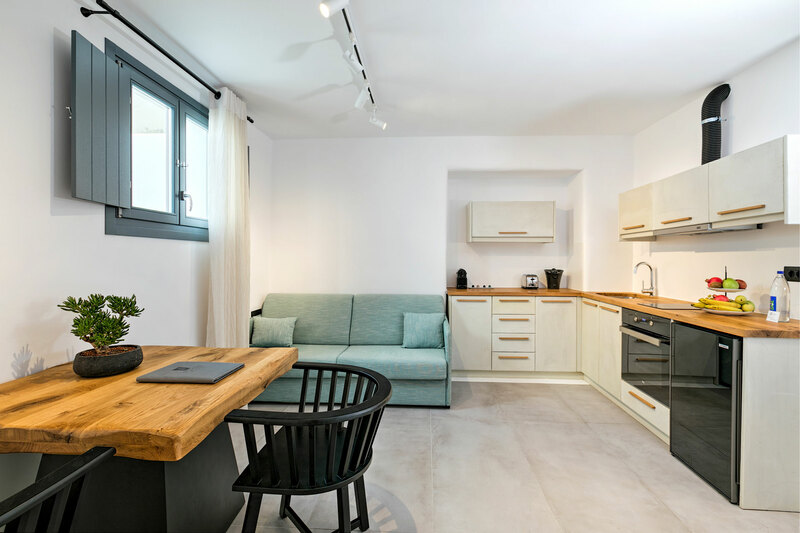 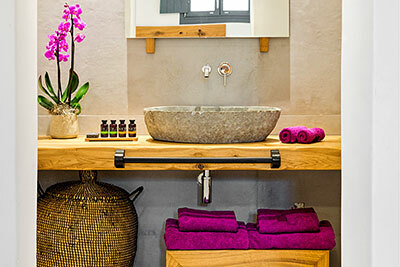 Spacious and cozy, located at the semi-basement level with physical light, deluxe rooms perfectly blend traditional island architecture with modern touches, creating an ideal accommodation for up to four guests in Mykonos. 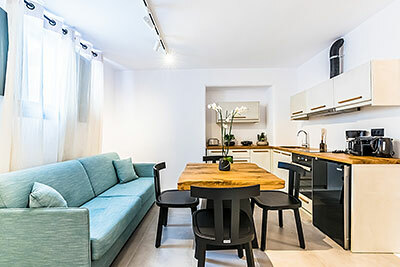 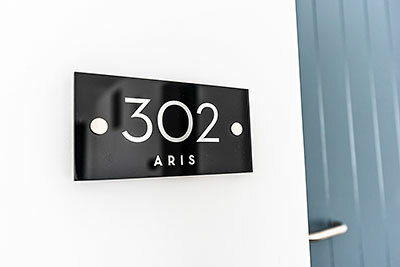 Featuring one master bedroom with a Κing-size double bed and an ample living room with an open plan layout and a sofa-bed, the rooms satisfy visitors’ needs for all modern comforts and unpretentious luxury. 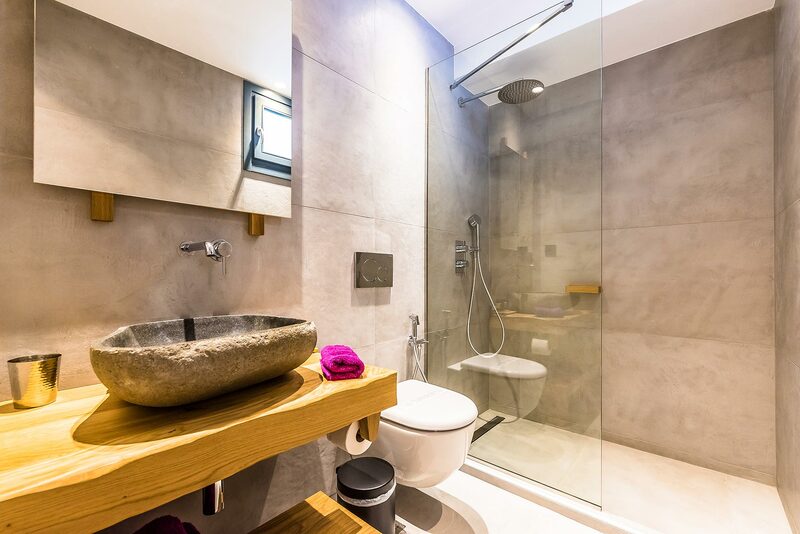 They also offer a modern bathroom featuring a shower with glass doors and luxury toiletries. 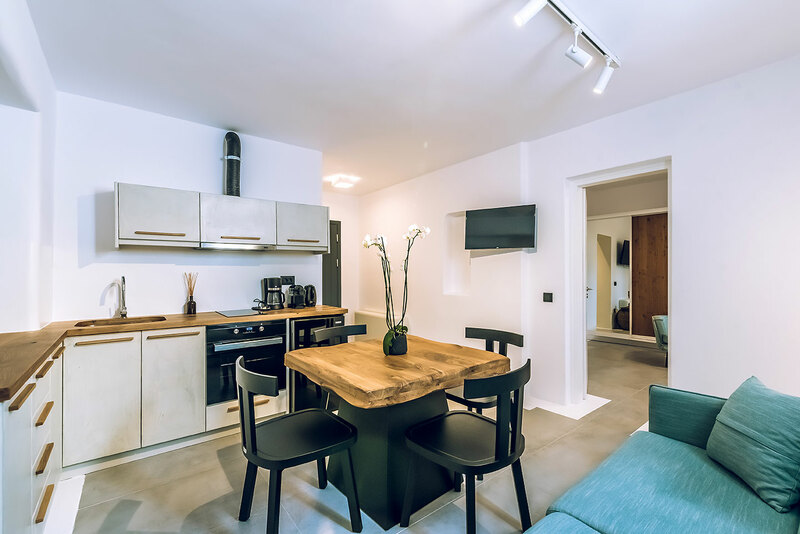 Plus, the fully equipped kitchen with coffee and tea making facilities add even more to the home-away-from-home feeling the room offers.